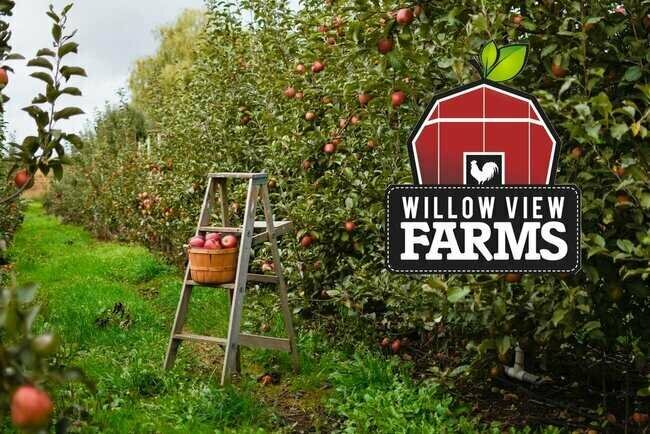 Willowview Farms - Come and pick FRESH "honeycrisp" apples! Amazing apple & plentiful pumpkin farm with farm animals! Are you looking to sink your teeth into some crisp, sweet and juicy apples? 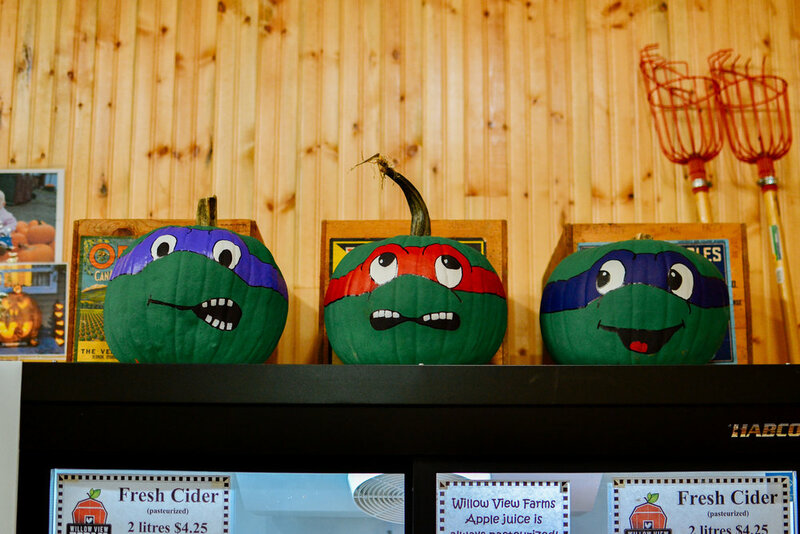 Do you want to see some incredibly colourful pumpkins in a whole bunch of sizes? Do you want your kids to see some awesome farm animals including chickens, goats, sheep, rabbits, etc? Check out how many apple varieties they have: Gravenstein, Gingergold, Asian Pears, Alkmene, Elstar, Pears, Honeycrisp, Gala, Macintosh, Fuji, Cox Orange Pippin, Jonagold, Bramley, Boskoop, Ambrosia, Orin & Northern Spy. WOW! These apples do not have any WAX on them like you normally get in the grocery store, so you can actually eat the skin for those of you from Japan and other countries. Willowview Farms is awesome because it has so many more apples and varieties of apples than any other farm. They have over 10,000 apple trees, YES, that’s right! It isn’t so overly advertised or touristic as other farms are. It’s just some real farmers doing what they do best: growing amazing apples, pears, plums, and pumpkins. Also don’t forget to try their awesome apple cider! Enjoy your time with friends or with your family, they have something for every body.